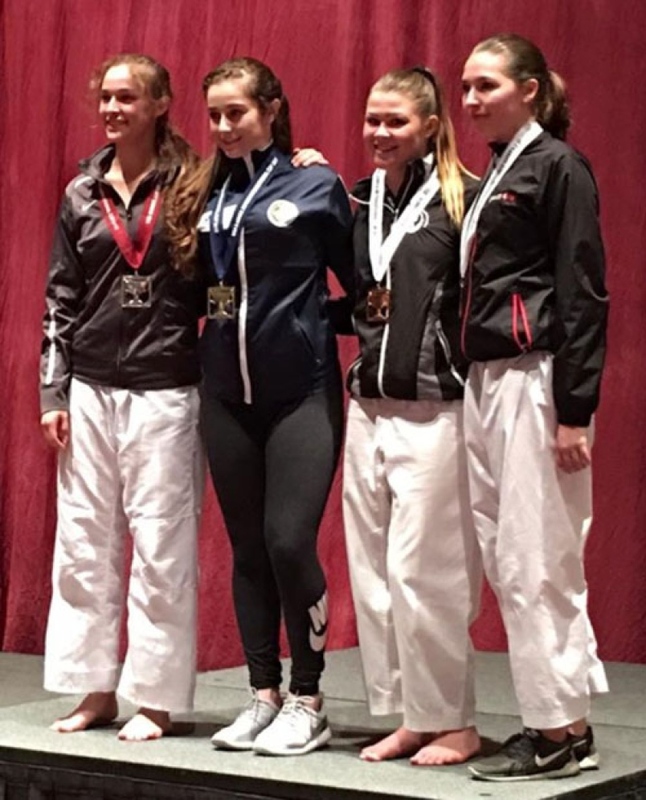 Congratulations to Sensei Marlee for winning a bronze medal at the 2017 USA Open and Junior International Karate Cup in Las Vegas! Way to go, Sensei!! There are regular classes tonight at the dojo! Congratulations to all of our members who attended the Saskatoon/Warman tournament on the weekend! We had quite a few members in attendance and everyone performed very well. We look forward to hearing about your experience! Here’s the most recent issue of The Harmonizer. This is the official newsletter of the Shintani Wade Kai Karate Federation, and in it you will find information and news from our clubs all across Canada! It’s a great way to see what the other clubs are up to and associate some names with faces. Don’t forget… Saskatoon/Warman Tournament this weekend! The Saskatoon/Warman tournament is this weekend in Warman! The online registration is preferred, but you may also register in person. If you choose to register in person, please do so Friday evening, or early Saturday morning as the divisions are being set up prior to the morning bow-in. Good luck to those who participate in this tournament. We hope many of our members will enter this event. The Saskatoon members are great about coming down to our tournament every year! This another excellent Saskatchewan event in a cool facility. There is also no school for students in our school division on Friday, so you can take your time getting there for the Friday evening clinic. See you there!